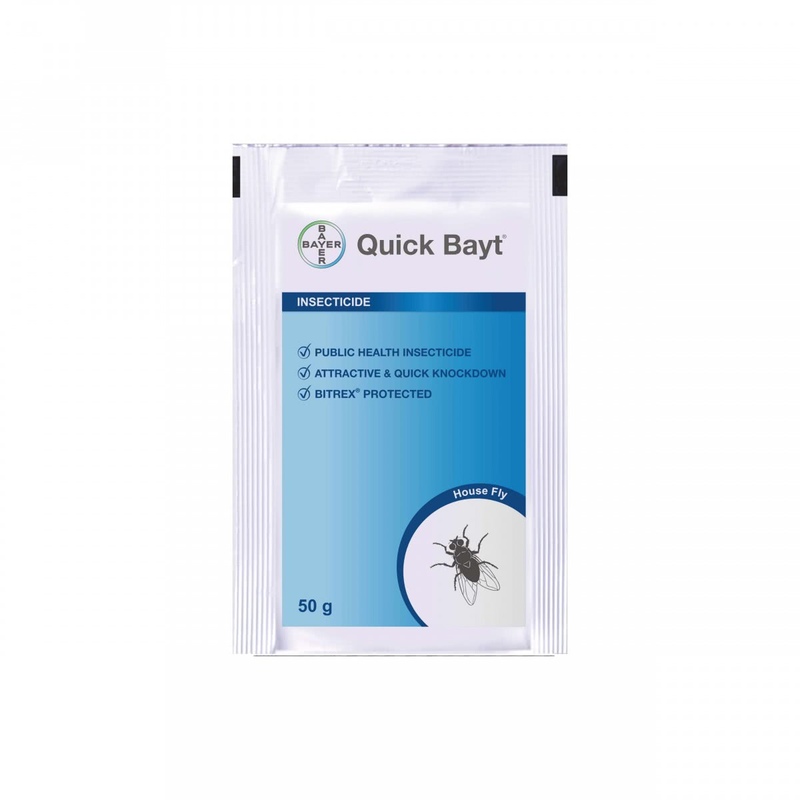 Quick Bayt by Bayer is a highly effective insecticide that is made keeping the public health in mind, it is Bitrex protected, attractive and assures quick knockdown of these annoying insects. Step 1 : Mix 200 g of Imidacloprid 0.5% w/w RB in 150 ml of warm water. Step 2 : Stir well the thick paint like solution is prepared & leave it for 15 min. Step 3: Take a brush and apply the product as "paint" to the places frequented by flies, as mentioned in the direction for use. Step 4 : Leave the painted strip for drying. Precautions : If the paint strip is covered by dirt or removed by any chance, re apply the same. Mix 25 g of Imidacloprid 0.5% RB in 20 ml warm water to make the paste. This (Paint like solution) is recommended to cover 12 square meter area.